The first trailer for Fantastic Beasts: The Crimes of Grindelwald has been released and it, unlike JK Rowling, would like to pretend like Johnny Depp is not in the movie. 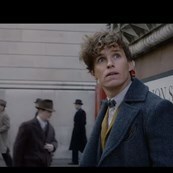 (I am not inclined to cut anyone associated with this movie slack because A. they could have recast him between movies #1 and #2, BUT THEY CHOSE NOT TO, and B. they’re doing that Dumbledore-is-gay-nudge-nudge thing where they want the street cred of having a gay character without actually having a gay character and blockbusters keep doing this and it’s EXTREMELY LAME and whatever goodwill I had left after Depp is gone.) But there is very little of Depp in the trailer, a minimizing tactic you might remember from Pirates of the Caribbean Nteenth. At least someone affiliated with Warner Brothers marketing has the grace to be embarrassed they kept Depp. Depp f*ckery aside, this trailer actually looks good. Newt Scamander is doing some sh*t in Paris this time, and all the faves are back—Newt, Tina and Queenie Goldstein, and cheerful Muggle baker Jacob Kowalski. (I refused to use the stupid American term “no-maj”.) Also returning is Ezra Miller, Zoe Kravitz—SUCH great casting for a Lestrange—and Carmen Ejogo. And, of course, new to the fold is Jude Law as Young And Hunky Dumbledore. This is not the wizened, white-bearded Dumbledore of Harry Potter’s day, this is Dumbledore in his prime, back when he was just a teacher—but like, a COOL teacher—at Hogwarts. He’s in touch with Newt. They’re up to something. People have questions. And then they show Johnny Depp as Grindelwald and I remember how he used to top my list of Forever Loves until I discovered that “forever” has a limit and it’s “spousal abuse”. It’s a shame Depp is bringing this down because Grindelwald actually looks good. 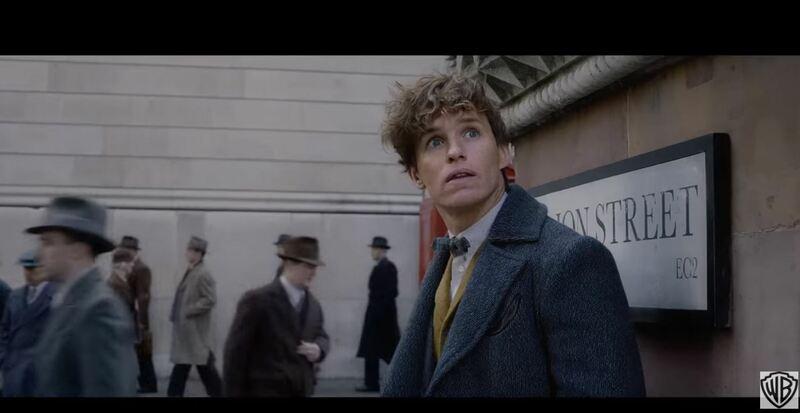 Fantastic Beasts was so-so, but the world was interesting enough and the characters fun enough to want to return to the 1920s Wizarding World, and our second trip looks full of fun stuff. Magical Paris is an interesting concept, I’m curious to see how Credence Barebone survived, and of course, I must know what happens between Queenie and Jacob, who really provided the heart in the first movie. And Jude Law looks PERFECT as young Dumbledore, with the right combination of twinkle and swagger. But then there’s Johnny Depp. He can’t single-handedly ruin the Wizarding World, but he is certainly taking the shine off.